This Georgian inspired mantel is exquisitely carved, with a delicately designed shelf and bold central plaque. 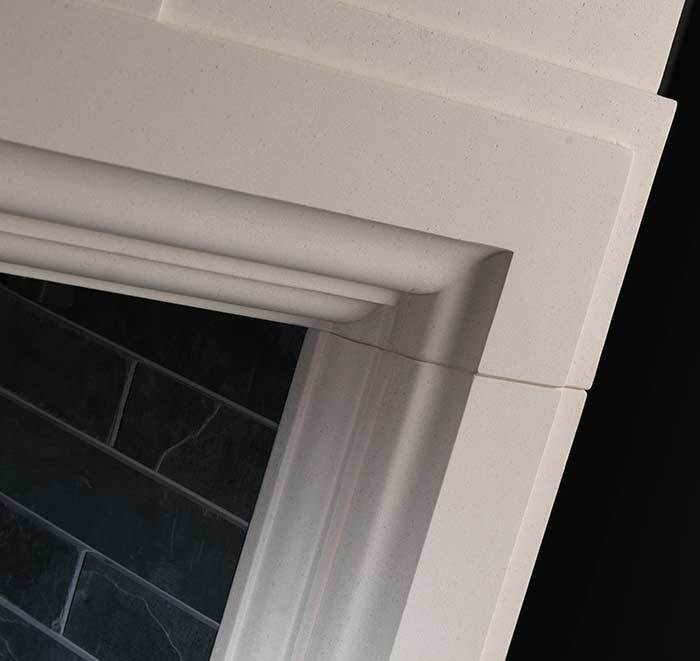 Bringing a sense of harmony and symmetry, the Hadley is sure to be the focal point of any room. 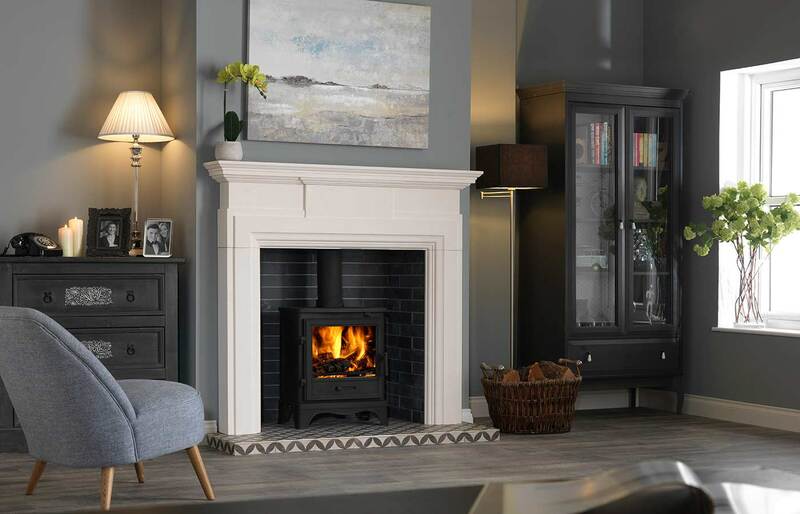 Pictured with the Bassington stove in black finish with skirted leg option, porcelain slate brick bond chamber and 55″ Star tiled hearth.